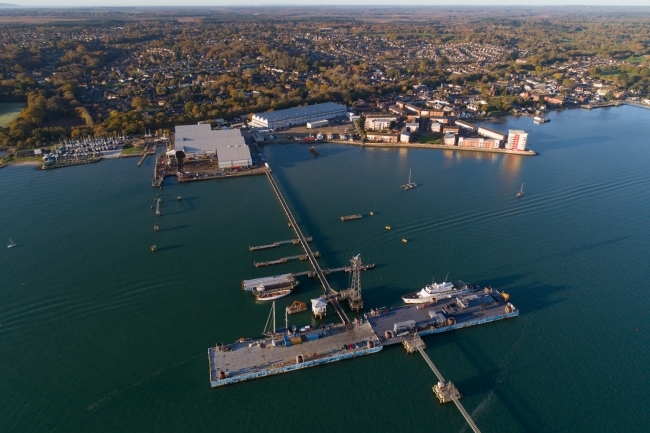 Fairline Yachts has announced the opening of its new commercial shipyard facility in Hythe, Southampton as part of a wider £30m investment being made by the firm. In addition, the new manufacturing facility enables Fairline to build larger yachts, which has not been possible at the firm’s existing Oundle, Northamptonshire location. The boat yard’s manufacturing base in Oundle continues to operate and builds boats up to 60ft. Boats over 60ft are built at the new site in Hythe with testing, commissioning and customer handover also taking place there. Originally designed and built by the US Navy back in the 1950’s, the heavy slipway at Hythe was used to launch landing craft that were manufactured at the site. Fast forward half a century and this impressive piece of mechanical engineering has been given new purpose as the only slipway of its kind on Southampton Water.